At time of reservation - $300, which includes $75 non-refundable registration fee. At time of reservation - $700, which includes $75 non-refundable registration fee. Sign-ups within 30 days for domestic trip departures, 90 days for international departures, and 120 days for Everest require full payment at time of sign-up. Should you incur last minute charges for services (e.g. rental equipment, extra hotel nights), your credit card will be automatically charged. Check, Wire Transfer, and Credit Card are accepted forms of payment. Wire transfers are subject to a $35 wire fee; credit card payments of $1000 or greater are subject to a 3% convenience fee. All date changes must be received in writing along with a new application- changes however may not be possible. $100 domestic fee / $200 international fee per date change. Any change from trip departure can be extremely difficult and is subject to all incurred expenses as assessed by MMI. Change is made at MMI’s discretion. All date changes are for credit only (no refunds) and valid for one year from written change notification and receipt of new application. Change for international trips and Denali must be made more than 90 days prior to trip departure; more than 45 days for domestic trips. If you decide to cancel your trip or change your itinerary, MMI must be notified in writing. Your trip will be cancelled from the date written notice is received. You will be assessed a fee according to the following schedule. If proper written cancellation notice is not received, amounts paid and reservations made will be forfeited. In addition, due to the non-refundable nature of government permits, hotel deposits, etc., MMI must strictly adhere to policies outside MMI’s control. Denali and Logan: Follow cancellation guidelines for international trips. You will be liable for any costs associated with the collection and/or retention of any payments and fees set forth herein, including, but not limited to, legal costs, attorneys' fees, court costs and collection agency fees. The laws of the State of Washington will govern this Agreement and you consent to the jurisdiction and venue of the federal and state courts sitting in Seattle, Washington. MMI is not responsible for expenses (e.g. nonrefundable airline tickets, visa fees, equipment, etc.) incurred by trip members in preparing for cancelled trip, regardless of cancellation reason, or for any additional expenses should the trip members have embarked or returned prior to or after any scheduled date. MMI is not responsible for any expenses incurred due to any deviation from the schedule undertaken by choice of trip participant. Additional unscheduled services not included in trip cost will be charged to participant’s credit card. MMI alone reserves the right to cancel (in accordance with the above terms), or postpone any trip due to acts of man (e.g. war, terrorism, etc. ), or forces of nature beyond MMI’s control. Trips may be subject to cancellation due to a required minimum number of participants not booking- the opportunity to pay a small group surcharge will be made possible before the trip is cancelled. Prices are subject to change as a result of forces outside of MMI's control and include, but are not limited to, park fee increases, airline surcharges, and so forth. Route Changes: It is possible that a route change due to forces of nature may become necessary on the trip. Route changes will always be at the discretion of the guide. No refunds will be available in the event of any route or itinerary change. Postponement or Delay: Delays and postponements in transportation sometimes occur. MMI cannot be responsible for these at any time. Every effort will be made to minimize any inconvenience, but MMI is not responsible for any additional costs that may arise. Responsibility: Trip members are responsible for the cost of evacuations. MMI will take every care with client’s baggage and property but is not liable for loss, damage, theft or delayed delivery. MMI acts as an agent for the transport, accommodations, and services of the company supplying this trip. MMI may not be held liable for non-performance of any such supplier. Consent to Treatment: I hereby consent to any hospital care or medical or surgical diagnosis or first aid activities with Mountain Madness and its agents, if I am not able at that time to give my written consent due to unconsciousness, disorientation or other mental incapacity. I also understand and agree that I am solely responsible for all appropriate charges for such services and that Mountain Madness and its agents are under no duty to provide any first aid or medical treatment in any event. Consent to Treatment (Minors): I authorize Mountain Madness personnel to call for medical care for the minor or to transport the minor to a medical facility or hospital if, in the opinion of such personnel, the minor needs medical attention. I further authorize appropriate personnel to render such medical treatment as is necessary for the health of the minor, in their professional opinion. I agree that once the minor is in the care of medical personnel or a medical facility, Mountain Madness shall have no further responsibility for the minor and I agree to pay all costs associated with such medical care and transportation. Trip Cancellation: MMI reserves the right to cancel any trip due to insufficient sign ups, in which case, MMI will provide a full refund. I have read the terms, policies, and conditions of Mountain Madness, Inc and in submitting this application online, I understand and accept them and acknowledge that this agreement shall be effective and binding upon myself, my heirs, assigns, personal representative and estate and for all members of my family, including minor children. I also certify that the above information I have provided is accurate. WHAT IS THE DIFFERENCE BETWEEN A "SCHEDULED" COURSE/CLIMB AND A "CUSTOM" ONE? Custom courses or climbs are booked with your preferences, trip dates, and itinerary mind. The price structure and inclusions/ exclusions are discussed in detail in our “Custom Trips” link on our website. Scheduled courses or climbs are offered with fixed dates, prices, and structure. They are booked on a first-come, first-served basis, and are generally less expensive. These are our core offerings, and constitute well-established and classic objectives. However, we are very excited to explore new terrain and climbs, and welcome your suggestions for new venues or routes. WHAT IS INCLUDED IN THE COST OF MY SCHEDULED ALPINE COURSE OR CLIMB? WHAT IS INCLUDED AND NOT INCLUDED FOR CUSTOM TRIPS? HOW QUICKLY DO THE TRIPS FILL? Unfortunately, there is no way to foresee how quickly or which of our trips are going to fill. It is always in your best interest to submit your application and deposit as soon as you have decided which trip date you want to join. We must receive a deposit upon reservation, either by check or credit card, in order to hold your space. Your final balance must be paid by check, money order, or wire transfer. $300. This includes a $75 non-refundable registration fee. For Scheduled Courses and Climbs: Your balance is due 60 days from trip departure. Payable by check, money order or wire transfer. All date changes must be received in writing along with a new application. There will be a fee of $100 for domestic date changes. Any date change can be extremely difficult and is subject to all additional incurred expenses as assessed by Mountain Madness. Changes will be made at the sole discretion of Mountain Madness. Date changes are for credit only (no refunds) and valid for one year from written change notification. In the unlikely event that Mountain Madness must cancel a trip due to insufficient participants or other reasons beyond our control, you will receive a full refund by check. However, refunds for expenses incurred by participant, such as airfare, are not possible. WHEN SHOULD I PLAN TO LEAVE AND RETURN HOME? We often get this question because most people need to know how much time to take off work. Our Northwest trips begin at 6:30 am in Seattle on the first date of your trip. Therefore, you will want to arrive the day before your climb or course begins. Due to the nature of mountaineering, our return time to Seattle on the last day is often unpredictable. We suggest you make a hotel reservation for the night of the last day and plan to return home on the day following the end of your course or climb. No problem. There is a lot to see and do in the Seattle area, and we would be happy to recommend our favorite attractions, restaurants, and day trips. WHERE SHOULD I STAY IN SEATTLE? For our Northwest trips, we recommend the Hotel Ballard. Let them know that you are climbing with Mountain Madness for our special group rate. Holiday Inn Express at City Center, and Pan Pacific Seattle are additional pickup and departure points.There are many other hotels nearby to choose from as well, and a complete list of these is included with your trip confirmation. included below and with your trip confirmation. For scheduled courses and climbs, you should fly into Seattle-Tacoma International Airport (SeaTac). You are responsible for your transportation to downtown Seattle (see suggestions below). Your guide(s) will meet you at Hotel Ballard, the Pan Pacific, or Holiday Inn Express between 6:30 and 6:45 a.m. on the first day of your trip. We will then meet as a group at 7 a.m. at the local shop, Ascent Outdoors, where we typically hold our orientation meetings and equipment checks. CAN MOUNTAIN MADNESS HELP BOOK MY AIRLINE AND HOTEL RESERVATIONS? No, Mountain Madness is not a travel agent, and does not book airfare or hotels. We recommend contacting Pirjo Dehart at CTT Destinations: (425) 831-0367. ARE MY SERVICES DIFFERENT ON A CUSTOM TRIP THAN ON A REGULARLY SCHEDULED TRIP? Yes. The costs for a custom trip include professional guiding services, food, cook gear, tents, and group technical gear. You are responsible for transportation for yourself and your guide(s), as well as camp fees and park passes. Please call our office for details or click “Custom Trips” on our website. WHO WILL MY GUIDE (OR GUIDES) BE? All of our guides are highly skilled professionals who have been selected based on their technical proficiency, proven climbing experience, careful judgment, patient and supportive teaching styles, and great personalities. At a minimum, all of our guides hold current Wilderness First Responder certification and are proficient in technical rescue and evacuation skills. Our guides are dedicated to the world of alpinism, many having first ascents and successful summits on major peaks from the Cascades to Mt. Everest. 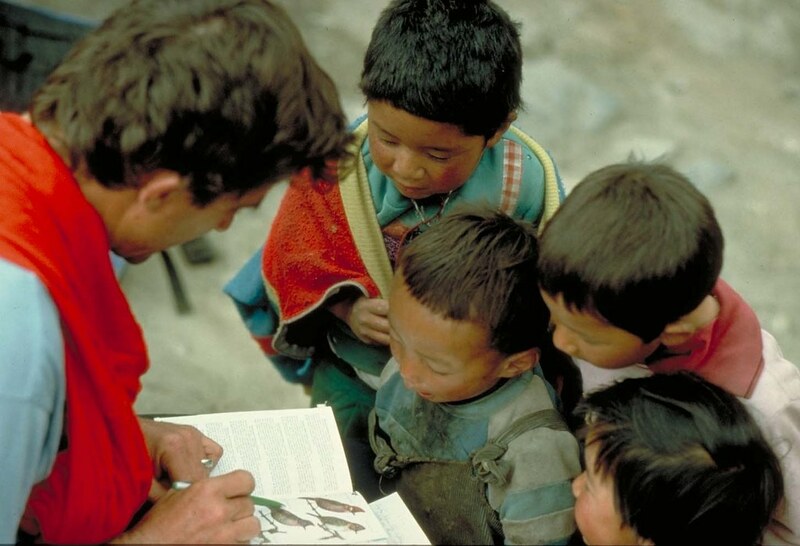 In addition to their broad scope of personal achievements in the field, many Mountain Madness guides have educational backgrounds in fields such as natural history, environment and wilderness education, and cultural anthropology that can enhance your learning experience. Mountain Madness is accredited with the American Mountain Guides Association (AMGA) and many of our guides hold professional certifications with the AMGA in the rock, alpine, and ski disciplines. The AMGA is part of the IFMGA which is the international body of certified mountain guides. Tipping is considered standard practice in the guiding industry. Tipping amounts vary - so ultimately it is up to your discretion, and how satisfied you are with the quality of your trip. Our experience indicates that 15-20% of the course cost is a good rule-of-thumb. A complete clothing and equipment list specific to your trip will be sent to you in a pre-departure packet upon registration. Every year we review our lists and assess feedback from our clients and guides for updating these lists, giving you the most complete and up-to-date guidelines. Feel free to call us if you have questions or need help locating any of the items on the list. For a successful trip, it is extremely important that you adhere strictly to the equipment list. HOW DO I KNOW IF I HAVE THE RIGHT EQUIPMENT FOR A COURSE OR CLIMB? Prior to departing on your trip, our staff will give you a call to discuss the particulars of your course or climb. This typically happens about 10 days out. At this time you can review the equipment you have selected and get their input. Before purchasing any equipment, you are welcome to call Ascent Outdoors at (206) 545 -8810 and ask for recommendations. We know that selecting the right gear can be a challenge and they are happy to help. CAN I RENT EQUIPMENT FROM MOUNTAIN MADNESS? Mountain Madness has gear available for rent for our Northwest courses and climbs. These items include mountaineering boots, crampons, ice axes, harnesses, helmets, a small amount of backpacks, sleeping bags and sleeping pads, and trekking poles. Quantities are limited and in high demand during peak season, so please contact us as soon as possible if you are interested. We do not rent rock climbing shoes. Please see our rental page for pricing. You will be required to carry a portion of the group gear and food in addition to your personal gear. This should be taken into consideration when deciding what you will bring. A good rule of thumb is to try to keep your pack weight below 40 pounds, which will allow for adding the group equipment. In most cases, yes. There may be the option of storing extra gear and clothing at your hotel, but that is not guaranteed. You will also be able to leave a small amount in our vehicle at the trailhead (such as a change of clothes). We do not, however, recommend leaving valuables at the trailhead. WHAT KIND OF FOOD WILL THERE BE ON MY TRIP? At Mountain Madness, we pride ourselves in preparing great mountain cuisine and we offer this added level of service on our summit climbs and custom trips. Our many years of mountain travel have provided us with time-tested and nutritious meal plans. Be sure to bring along your favorite munchies, energy food, and after dinner treats. If you have specific allergies/preferences, please note that on your application and your guide(s) will provide meals accordingly. Like all large mountain ranges, the Cascades tend to generate and attract their own weather, making conditions impossible to predict. Typically July, August, and September have the best weather, but optimum or adverse weather can occur at any time. You should be prepared for a wide range of temperatures, from freezing nights and snowy and windy conditions, to bright sunshine intensified by high altitude. These wide fluctuations make it especially important to bring everything on the equipment list. Because our climbs and courses take place in the unpredictable mountain environment, your guides will make decisions regarding the trip itinerary based on current weather and route conditions. Mountain Madness guides will make every attempt to follow our trip itineraries, but the decision to amend an itinerary is always at the discretion of your guide. Summits are not guaranteed, and failure to summit is not sufficient cause for a refund. WHAT IF SOMEONE ON MY ROPE TEAM GETS SICK... WILL I LOSE MY SUMMIT OPPORTUNITY? For all of our climbs and courses, participants must keep in mind that they are part of a team and that the managing the security of a team member is our highest priority. In the unlikely event that the entire group is required to get a team member down, they will be called upon to assist the guides and/or staff. Yes. The following outline indicates how we rate our trips and what the recommendations are for participation on such a climb or trek. Beginner: No previous mountaineering skills required. Advanced Beginner: Basic mountaineering skills recommended including self-arrest, cramponing, ice axe use, rope and glacier travel experience. HOW PHYSICALLY FIT DO I HAVE TO BE A PARTICIPATE ON A MOUNTAIN MADNESS TRIP? All of our courses and climbs are physically demanding, and your ability to enjoy your trip depends on your overall health and fitness. Your trip will be more rewarding for yourself and others if you prepare for it by conditioning yourself properly. We believe that the best form of training is to simulate the activity you are training for and increasing the level of exertion as the routine becomes easier. For example, walking up hills and stair climbing are excellent ways to condition your lower body, heart and lungs for climbing. Begin slowly, without the weight of a pack, and eventually add weight as you increase your training pace. Then begin taking longer hikes several times a week with a weighted pack. We suggest that you use containers of water for uphill hikes, emptying the contents for the descent to reduce knee stress. Supplement these workouts with running, swimming, bicycling, or other forms of aerobic activity. Additionally, we recommend that you incorporate a weight lifting regime into your training program to build upper-body strength. We suggest that you begin your daily training several months prior to your trip. Please contact Mountain Madness to discuss the creation of a personal training program to help you prepare for your course or climb. I'D LIKE TO TRAVEL WITH MY SON/DAUGHTER. IS THERE A MINIMUM AGE REQUIREMENT? We will accept participants 15 years or older on our regularly scheduled trips, if they are accompanied by a legal guardian. You must be 18 years or older to attend a Mountain Madness trip on your own. We will be happy to accommodate people under the age of 15 on custom trips only.